We can start running the Python interactive mode (command line interpreter) and immediately start writing the program code. EaInteractive Mode We can start running the Python interactive mode (command line interpreter) and immediately start writing the program code. Each operating system must have a command-line intrepeter, e.g. on Windows we know DOS, whereas on Linux we knowShell. This mode is very help us in testing some of the features of Python. ch operating system must have a command-line intrepeter, e.g. on Windows we know DOS, whereas on Linux we knowShell. This mode is very help us in testing some of the features of Python. On the Linux operating system, we can run this mode by using the Terminal. Because Python is a programming language that is already integrated with Linux, then we simply write python on shell prompt. By typing python at the shell prompt, we will go into interactive mode Python thatwill be marked with "> > >". This command will execute the programKu.py script directly from Active Directory now. In this section, we will learn how to write a program input/output and display a comment according the rules of language (syntax) of Python. The first program that we will create is a welcome program. Type the following command line by using the interactive mode. >>> print "Welcome to Python Programming"
This command will display a message asking Your name input. It is time we will show the name that we've inserted by using the print command. All programming languages, including Python, use a variable to store the data in computer memory. Unlike other programming, a variable in Python does not have to be declared explicitly. A declaration of a variable occurs automatically when we give a value to a variable. As programming languages in General, same-sign with (=) is used to provide avalue to a variable. The three on the left side of the sign (=) is the name of a variable, while the three that the right of the sign (=) is the value assigned to the variable. In the above example, 100 and 25 is the value assigned to the variable pricing and discounts. While the statement the price-discount will calculate the difference between the discounted price. Variables can also store a value of text (a string). Variables can also store two or more string values by using the operator (+). If we had put a value in a variable, we can use these variables in the expression of the other. We can also provide a values for some variables. In addition, we can also provide some value for some variables (called multiple assignment). Another form of the above example, we can use the brackets-brackets-open lid. Way above, can also we used to Exchange variable value. We can also change the value in the variable data. Long integer calculations help us greatly beyond the range integer value. Virtually, there is no limit on the value of a large virtual memory dependent that we use. The suffix ' l ' or ' L ' at each integer value indicates that the data type long integer. The real and imaginary parts of complex numbers we can separate them using the data attribute, i.e. using real and imag. As for getting the conjugation of complex numbers, we can use the method of conjugate (). > > > real complex. > > > imag site. > > > complex conjugate (). 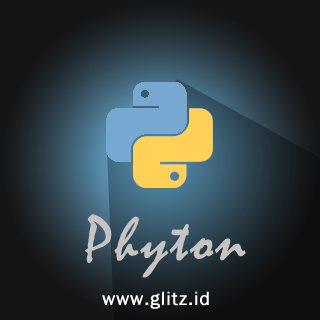 1 Comment for "Tutorial programming phyton basic"